Tri-tip | Cook Eat Delicious! Some years ago my DH and I were vegan. It lasted for nine months and we loved it. The reason we gave it up isn’t clear in my mind but I know it has something to do with steak…melt in your mouth beef. 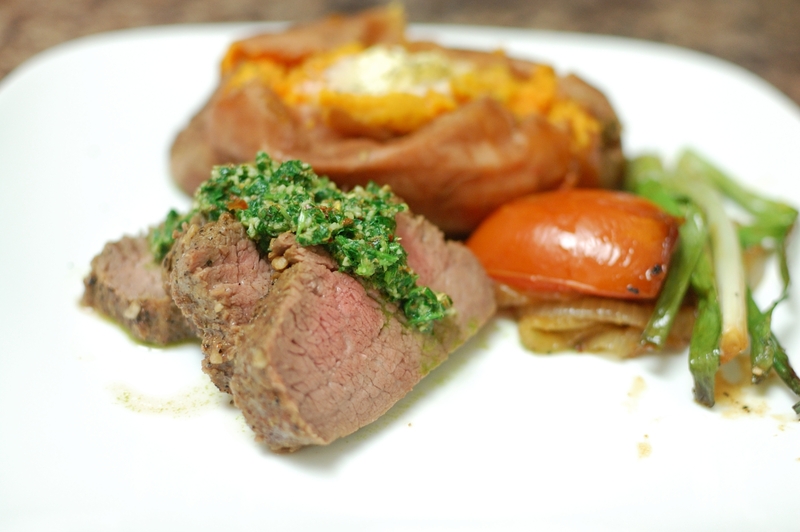 We are working towards veganism again but it is easy recipes like this Tri-tip and chimichurri sauce that make me want to keep the meat in the diet. Tri-tip is one of my favorite cuts of beef. When not over cooked, it melts in your mouth and it full of flavor. Plus, if you have any leftovers, they are great sliced thin for a tri-tip bbq sandwich the next day!